Posted on November 8, 2017 at 12:08 pm. 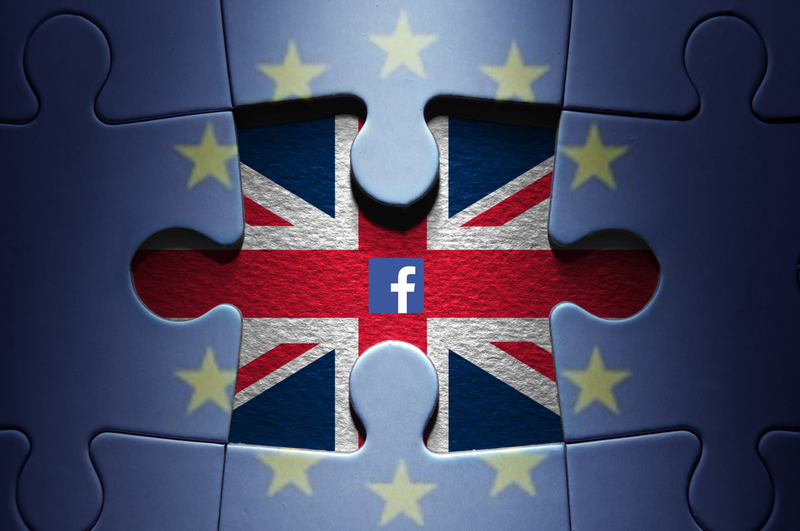 Did Manipulation Of Facebook Ads Result In Brexit & Trump Being Elected? At first glance, that headline sounds pretty unrealistic, doesn’t it? How could Facebook ads sway the majority of Americans and Brits to do the unthinkable and vote for Trump and Brexit respectively? But it happened. And now the information that is unravelling makes for scary, but unsurprising reading. Let’s start at the very top. Facebook says that it has over 2 billion active users. In the middle of 2016, that figure was closer to 1.8 billion people. Using Facebook’s Ad Manager, we can see that if we set up an ad to target everyone on Facebook in the USA, we would reach 150 – 200 million monthly active users, or around 52% of the US population. Pretty powerful stuff. In the UK, using the same platform, Facebook says we could reach 35 – 40 million monthly active people. So if we ran a Facebook ad with the right budget, we could reach over 55% of the UK population. I know what you’re thinking. Even if someone did spend a lot of budget on Facebook ads, there’s no way they could swing the majority opinion of two of the biggest nations on Earth. You might be right. There was probably a lot more too it. But then again, never underestimate the power of data. Did you know what the Vote Leave campaign spent almost half of their campaign budget (£3.5 million) on targeted social media ads? That’s got your attention hasn’t it? Vote Leave officials said the company they had used to spend the budget on social ads had been “instrumental” in securing the Brexit vote in the referendum in June 2016. This was done through developing sophisticated models to relentlessly hone, and target the right people, using the campaign’s online messaging. Social psychology, campaign messaging and data analytics at its finest. It’s the headline that simply won’t disappear from the news: President Trump’s connections with Russia. Much like Brexit, all the major players are having to be transparent and go public with their data for what actually happened in the run up to Trump’s election. The situation has got that serious that in October 2017, all three of the big digital players – Google, Facebook and Twitter – appeared at a tribunal, and were grilled by Congress to help them understand how Russian-led ads were essentially used to sway opinions in the 2016 US Election. The facts so far are pretty staggering. Last week Facebook announced Russia-backed content reached as many as 126 million Americans on during and after the 2016 presidential election. Roughly 80,000 posts were received by 29 million Americans directly, but reached a much bigger audience after being shared, liked and commented on. Facebook say this number was less, but it’s still significant. As for Twitter, they found roughly 200 accounts believed to be tied to some of the same Russian-linked sources that purchased ads on Facebook. It has also been reported that many of these accounts were using bots to manipulate follower numbers, and hence reach of their messaging. If you then consider research has found that 67% of all Americans get their news from social media, then you can quickly see a picture building of how specific messaging can influence opinion. SURELY THIS SHOULD HAVE BEEN PREVENTED? You would think so, right? In this day and age it should be pretty easy for Facebook to spot someone in Russia setting up an ad account, then targeting the US population…right? Not so, apparently. Facebook have said they review millions of ads each week, and about 8 million people report ads to them each day – simply put, they can’t catch all of the bad ads. As Fortune reported, blocking ads that are created by foreign organisations, targeted to key election states is a no-brainer. And if new social media accounts have no linked website and do not list physical offices anywhere, why on Earth would Facebook let them purchase advertising? The second problem is algorithms. Both Google and Facebook blamed algorithms for certain ‘undesirable activity’ on their networks. The crux of the problem here is that the algorithms find it difficult to determine the veracity, credibility and intention of the content. This is an area all the three big digital players have said they are going to work on to ensure similar future political scenarios are not repeated. The last problem are bots. We blogged about Instagram bots earlier this year, and despite the blatant violation of their terms and conditions, Twitter and Instagram are swamped by them. Both platforms know that a significant proportion of their accounts are trolls and bots, but as mentioned in that blog post, Twitter and Facebook-owned Instagram are public listed companies – any negative commentary about account numbers and inflated engagement would hurt their stock price, which is partly why almost nothing has been done about the problem. The Congress hearings will continue, and there will be a drip feed of information that filters down from Google, Facebook and Twitter. Could the same thing happen again? Quite possibly, but it depends on how quickly Facebook and the others sure up their algorithms and crackdown on fake accounts, divisive messaging and foreign ad funding. Trump will be in power for another 3 years, and Theresa May is in power for the time being, so we’re probably a few years off another major election. The social media space moves incredibly quickly, but here’s hoping Facebook and Twitter will be ready for the similar ad tactics next time around.